The Mimo range will add a fresh and stylish look to any bathroom with its unique rounded basin and WC designs. 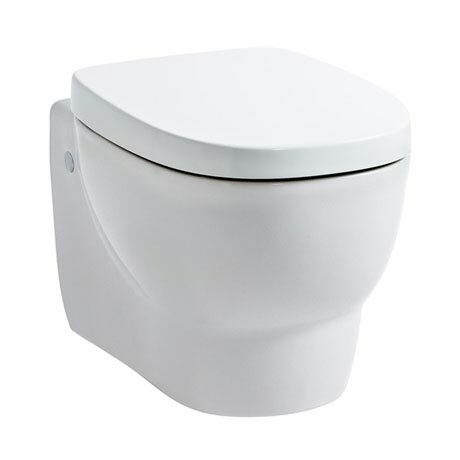 Laufen are one of the leading manufacturers for sanitary ceramics which is used worldwide. all Laufen products are extremely easy to install and comply with the specifications of different countries. Laufen WC's are suitable for all applications, the stylish design of this WC makes it ideal for any modern or contemporary bathroom. Comes complete with a duroplast seat with quick release chrome hinges. Standard duroplast seat with quick release chrome hinges.